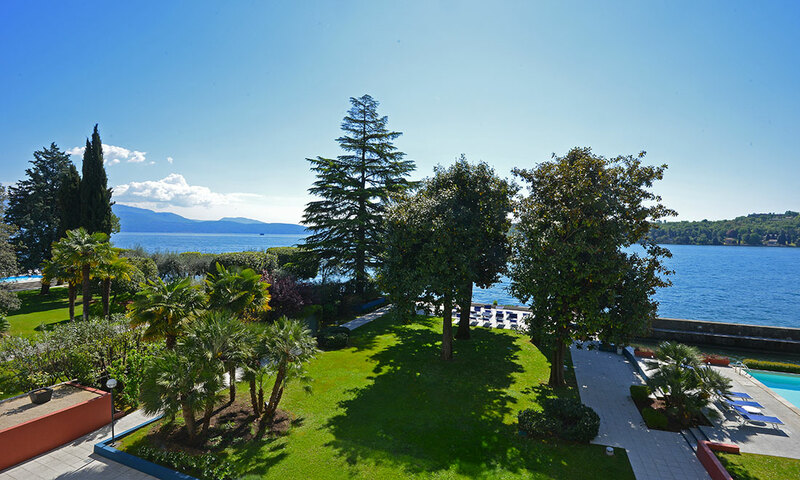 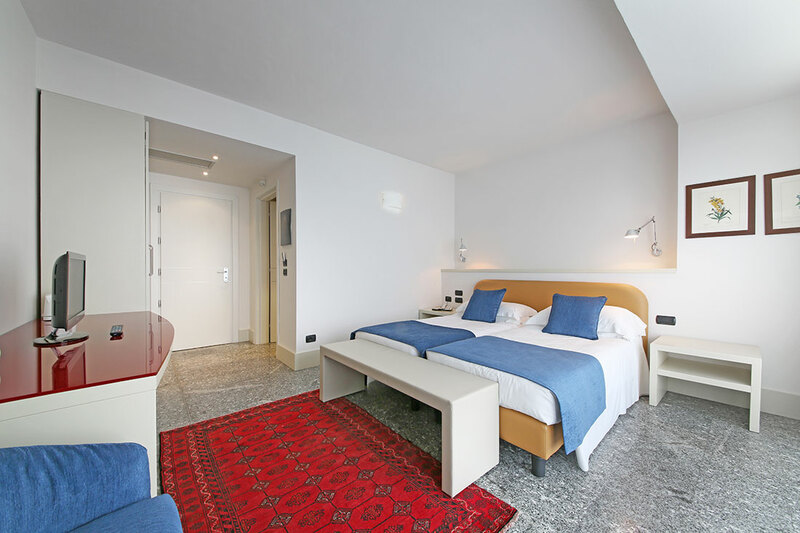 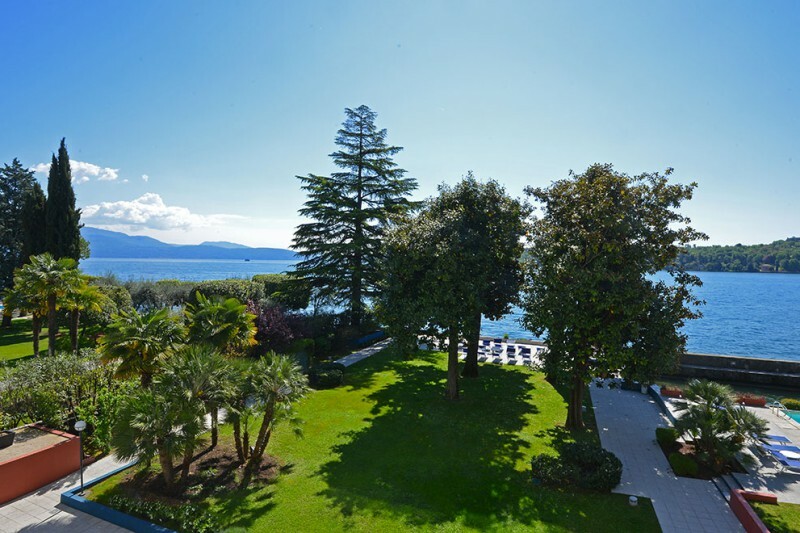 The Hotel Salò du Parc has 43 comfortable rooms available, all provided with a splendid view on the Gulf of Salò. Every room has a romantic panoramic balcony arranged with chairs and a small table where to eat breakfast enjoying a wonderful panorama. 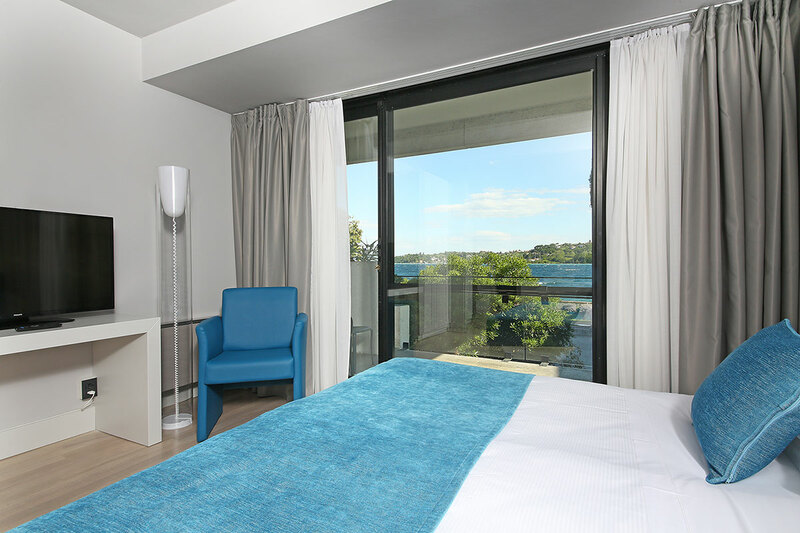 The rooms, spacious and smartly furnished, are all designed to guarantee the maximum of acoustic comfort to each of their occupants. 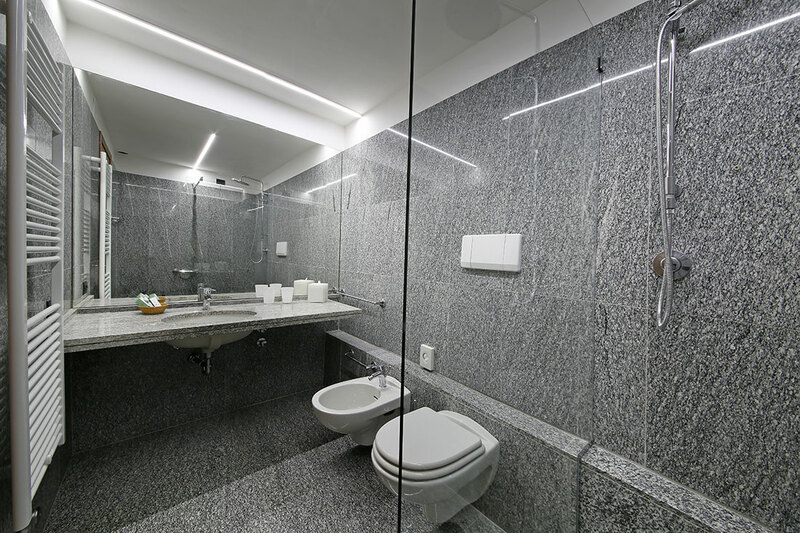 Every room has a telephone, a satellite TV, a refrigerator, a bar, air conditioning, a bathroom with bathtub and shower, a closet and a balcony. 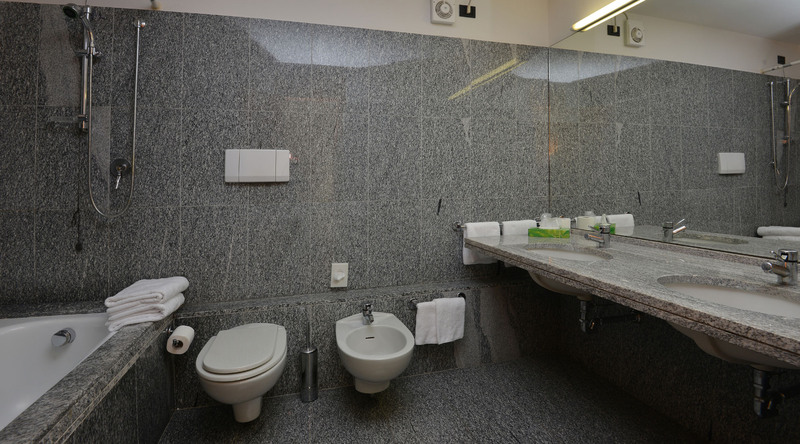 This wonderful mix between services and elegance is at your disposal with the helpfulness and courtesy of our staff. 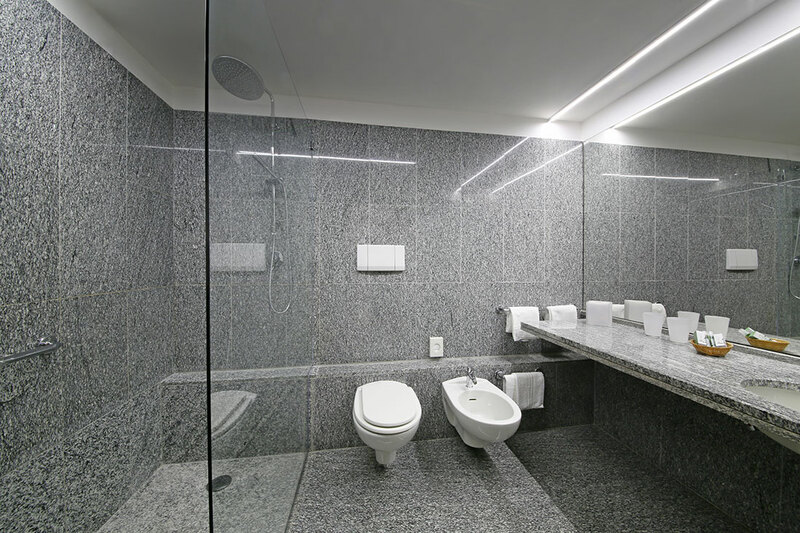 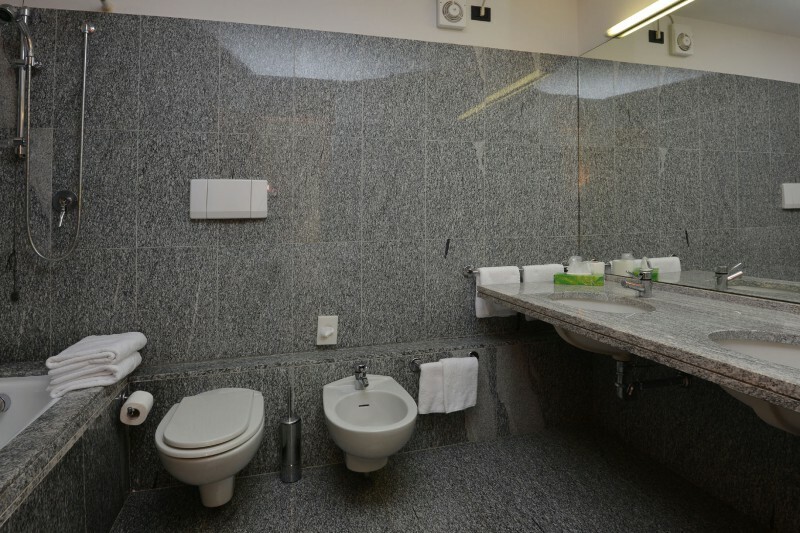 The “Comfort” Room, located on the 2nd floor, has a floor area of 20/25 square meters and includes a comfortable bathroom with shower and granite floors. 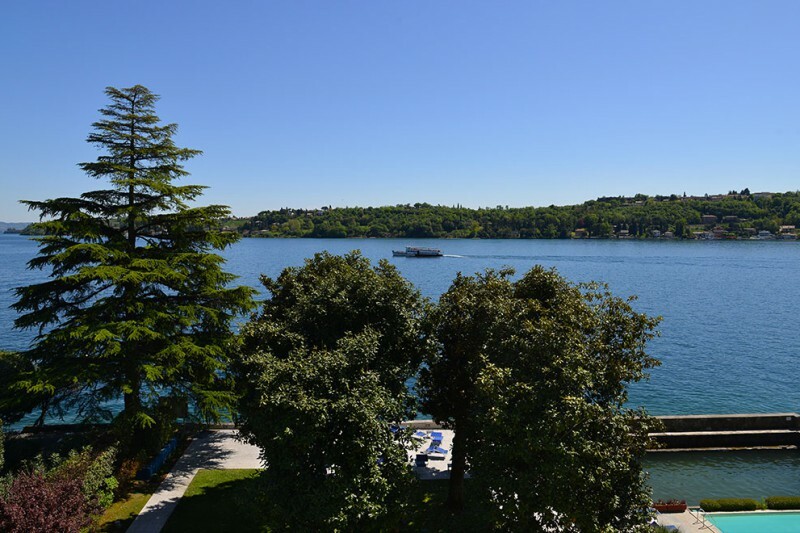 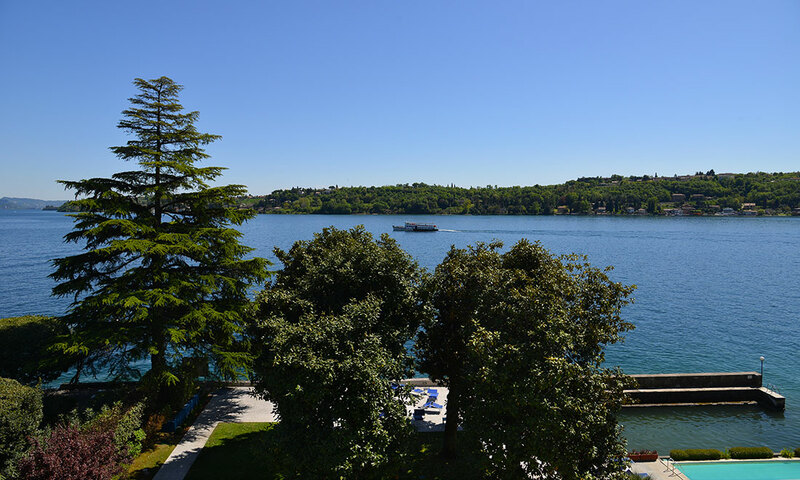 The room can be furnished with a double bed or two single beds, depending on the customer’s request, the room has also a small balcony overlooking the lake and offers air conditioning, TV and minibar. 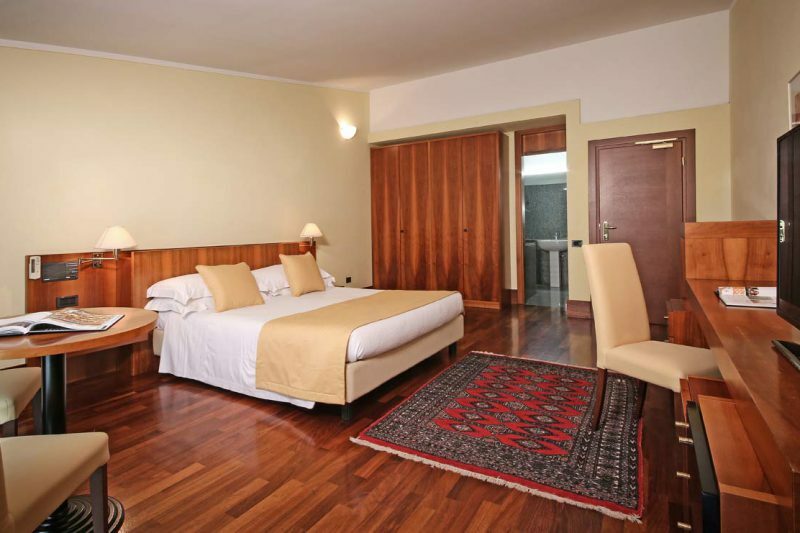 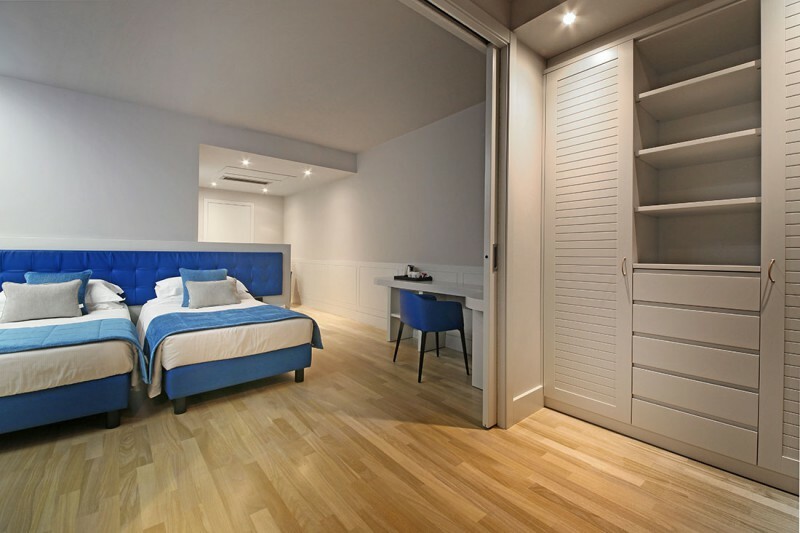 The “Deluxe” Rooms are located on the 1st, 3rd, 4th and 5th floor and have spacious sizes to accommodate a double bed or two single beds of 100 cm each and the possibility of adding a third and fourth bed. 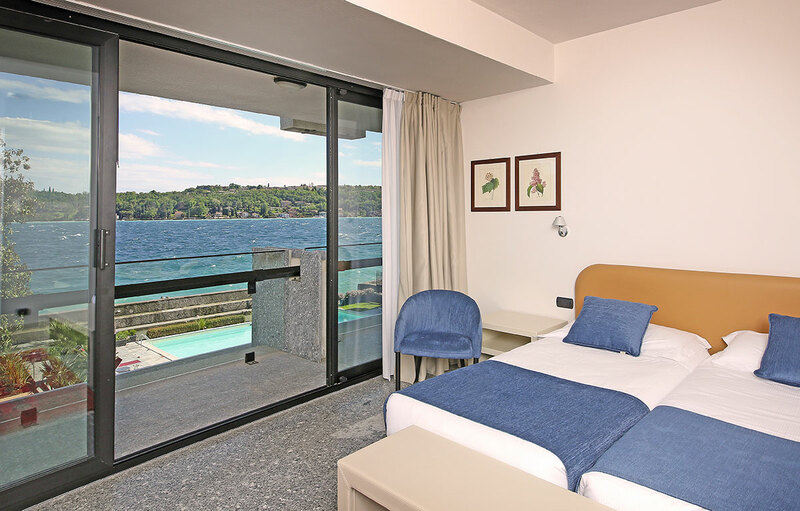 The rooms are equipped with wood floors, offering a large terrace overlooking the lake and a comfortable bathroom with tub, shower and double sink. 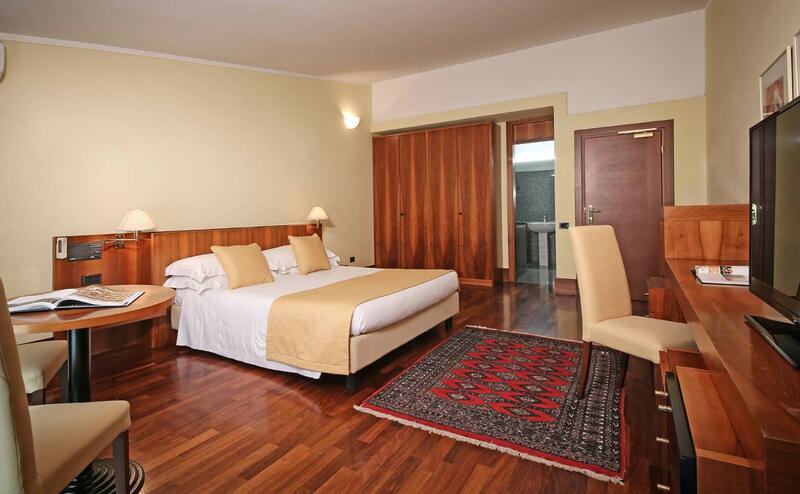 The rooms also include air conditioning, TV and minibar. 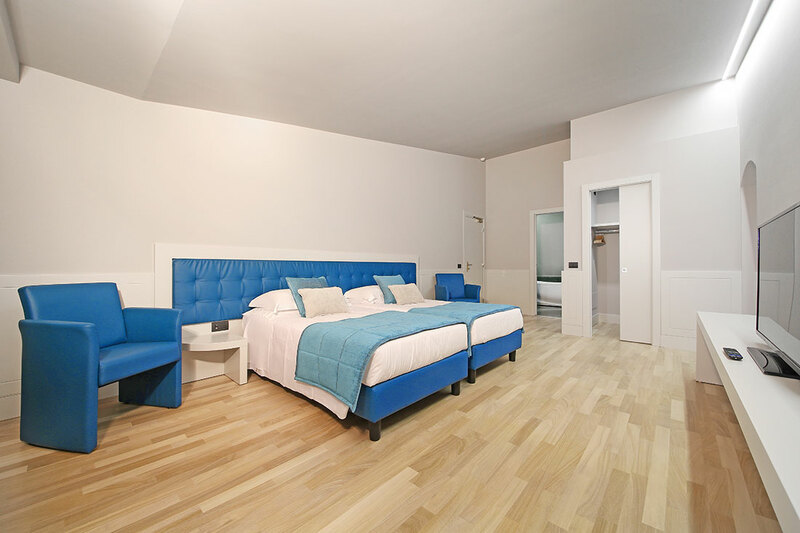 The family room is on the first floor and it has been designed for a family of 4 people. 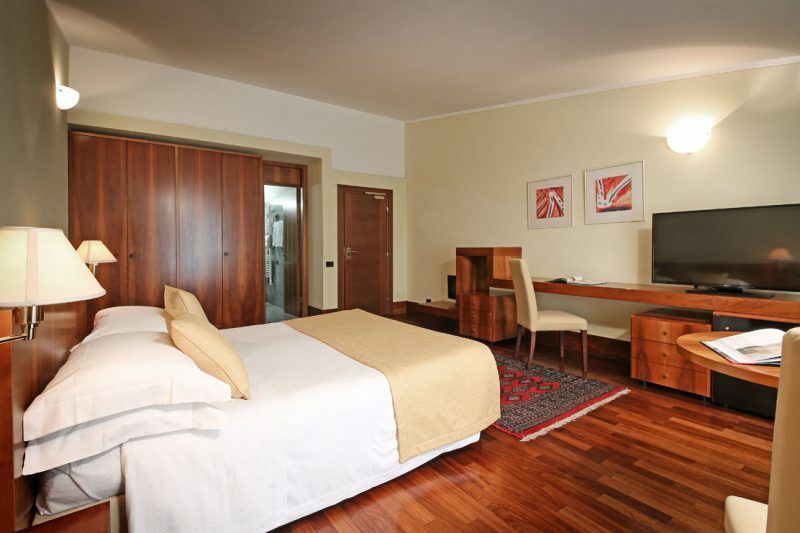 The room has 2 bedrooms, one with a double bed and one with two single beds, both rooms have a TV. 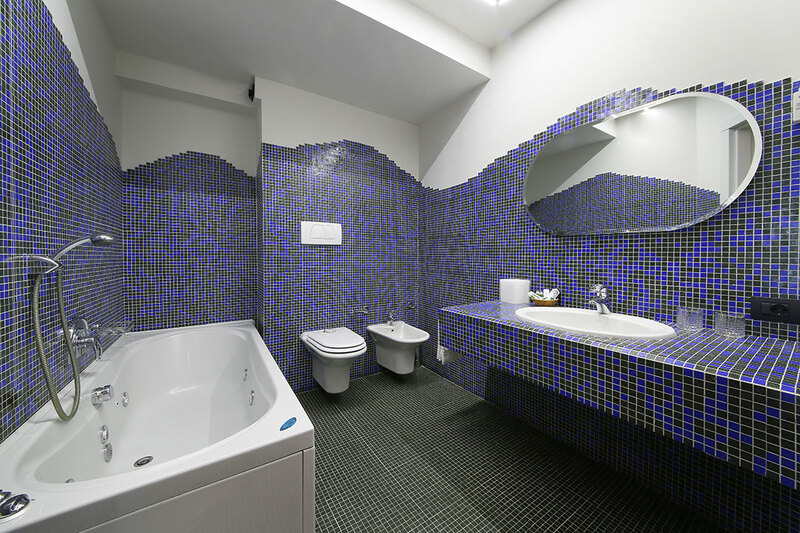 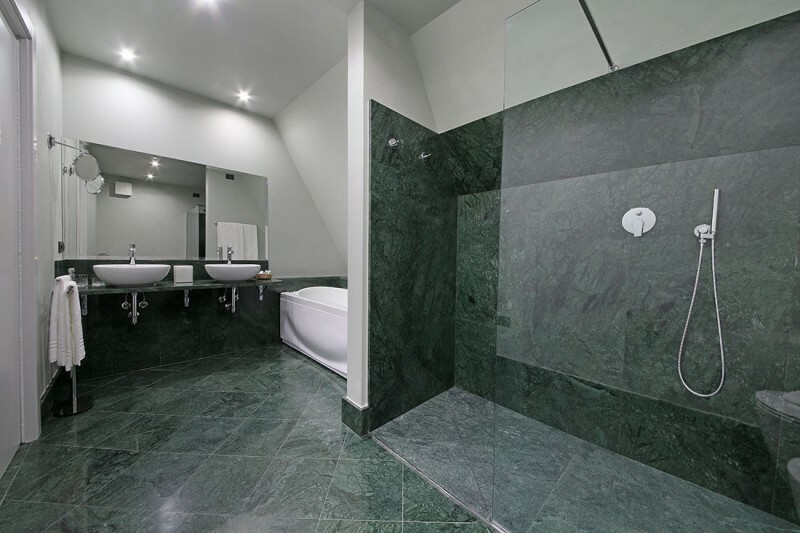 The room has 2 bathrooms: one with a shower and the other one with a bath tub. 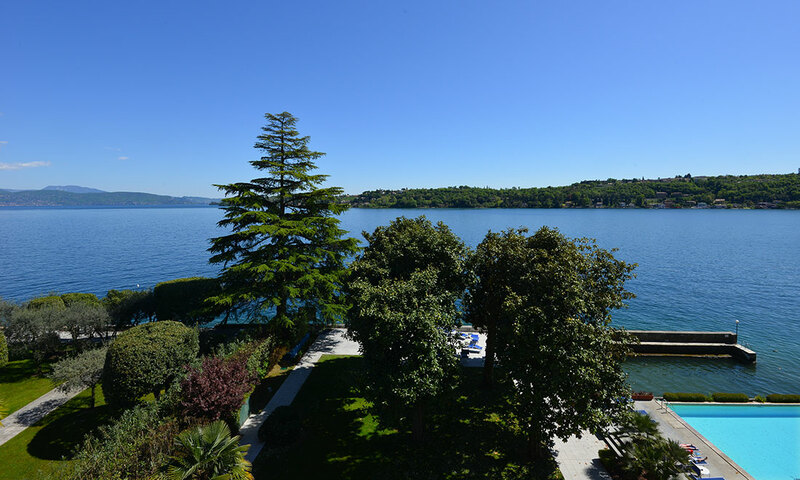 There is a large balcony which offers a beautiful view over the lake and the park. 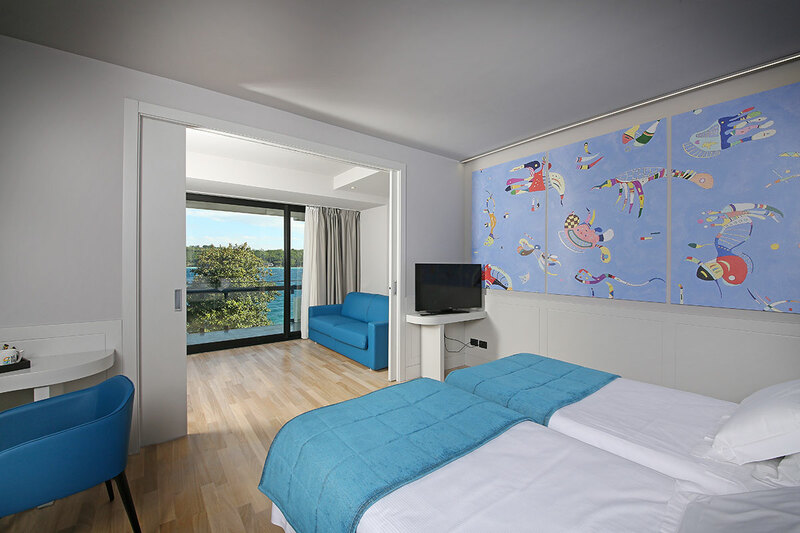 The junior suite is located on the third floor, it is approximately 40 square meter and it has a lake view and a balcony. 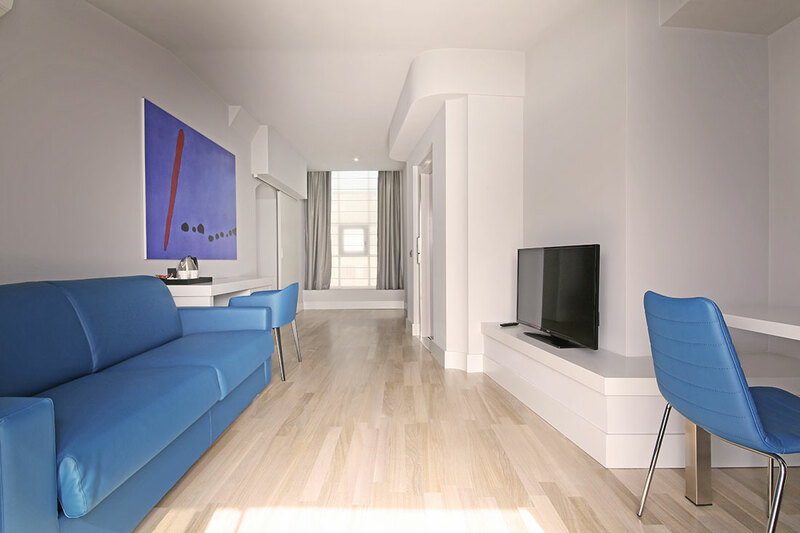 It consists of a living area, with living room and a flat screen TV, and a bedroom. 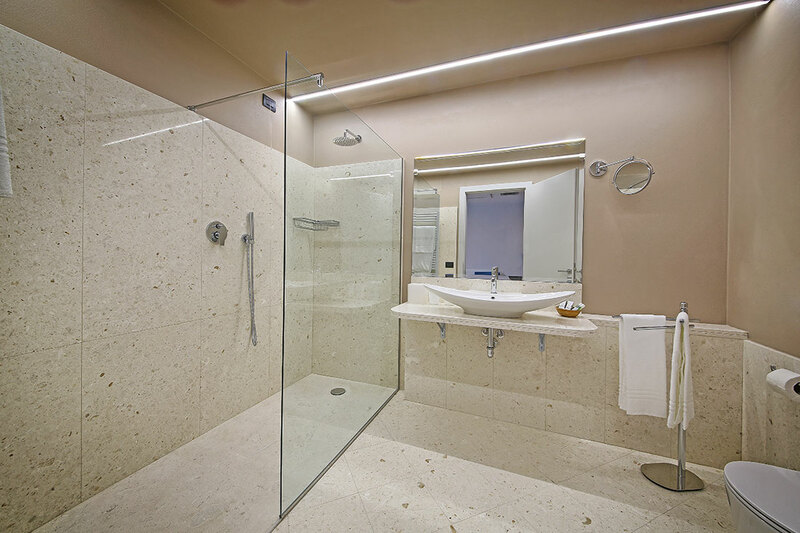 The bathroom has a very spacious glass shower. 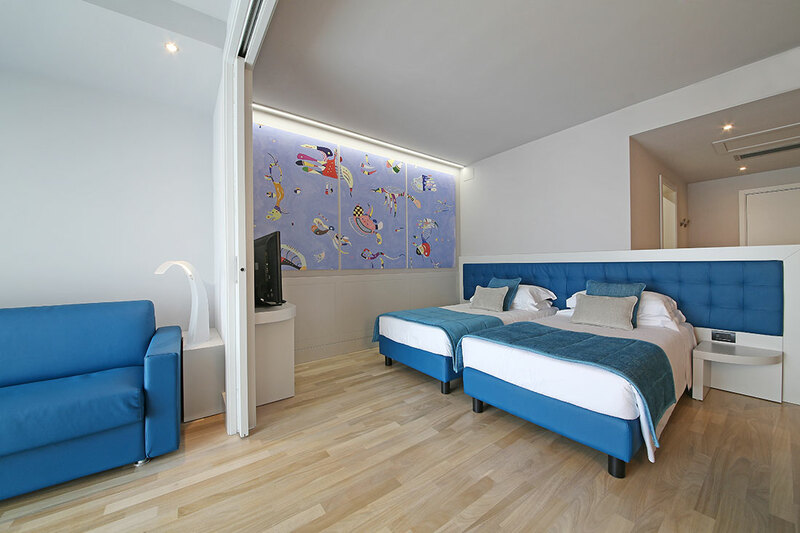 The junior suite is designed for two people, but it can accommodate a third person at an additional price. 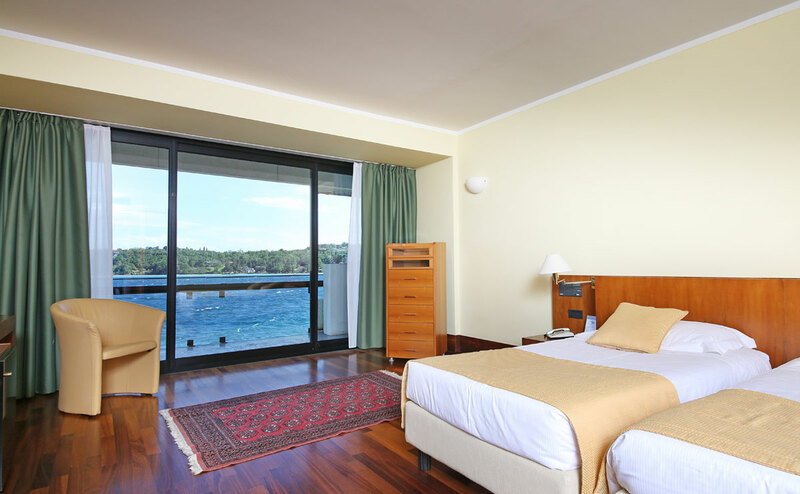 The suite is on the top floor of the hotel. 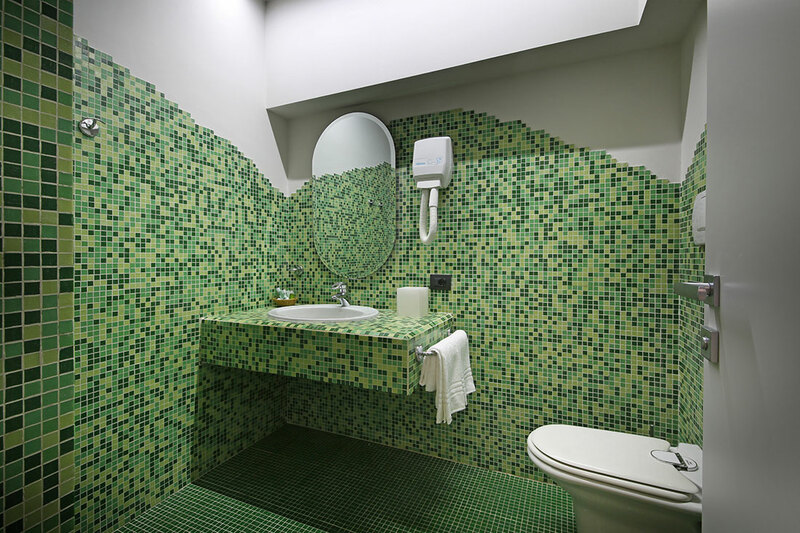 It is accessible by elevator directly from the reception. 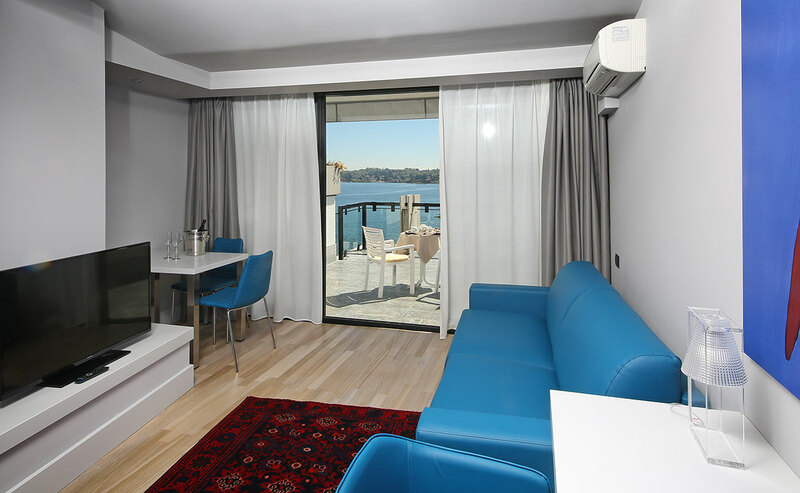 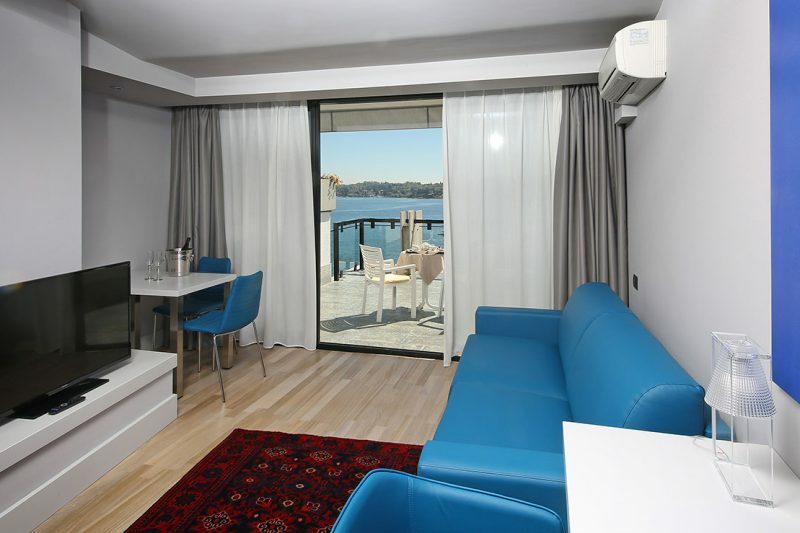 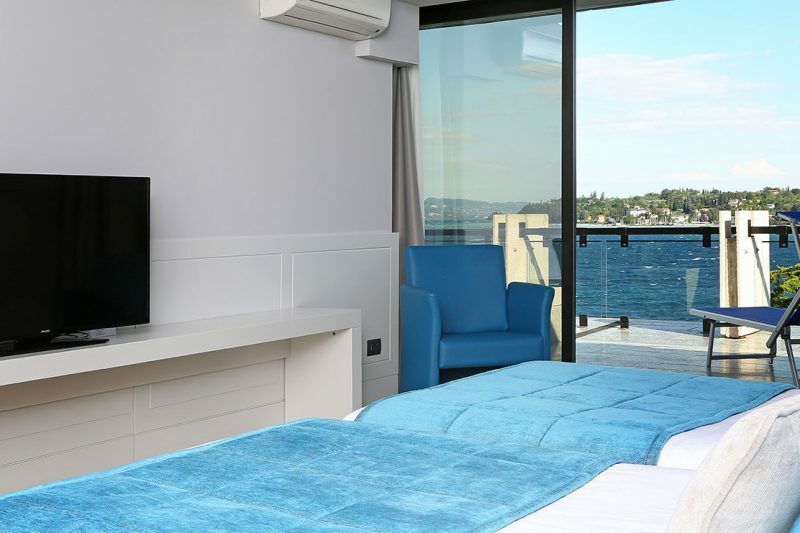 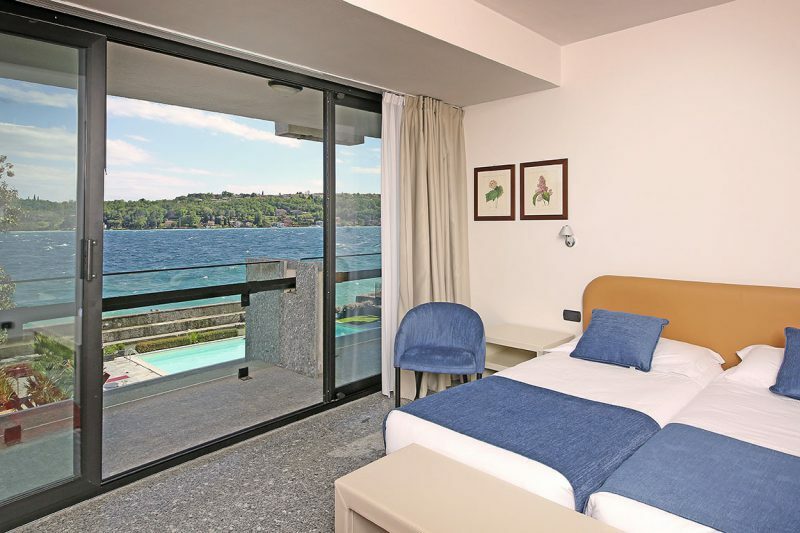 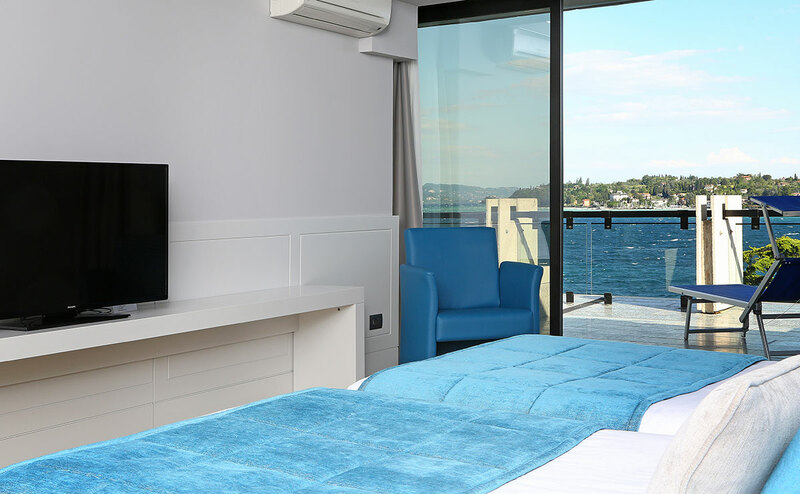 The suite measures 60 square meters and it has a balcony of 30 square meters equipped with sunbeds, great privacy and a fantastic view over the lake. 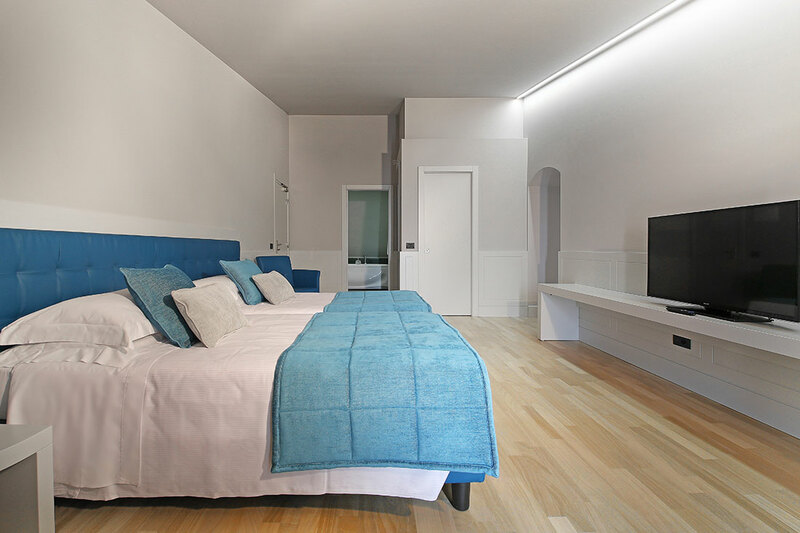 The living area consists of a living room and a small gym equipped with cyclette. 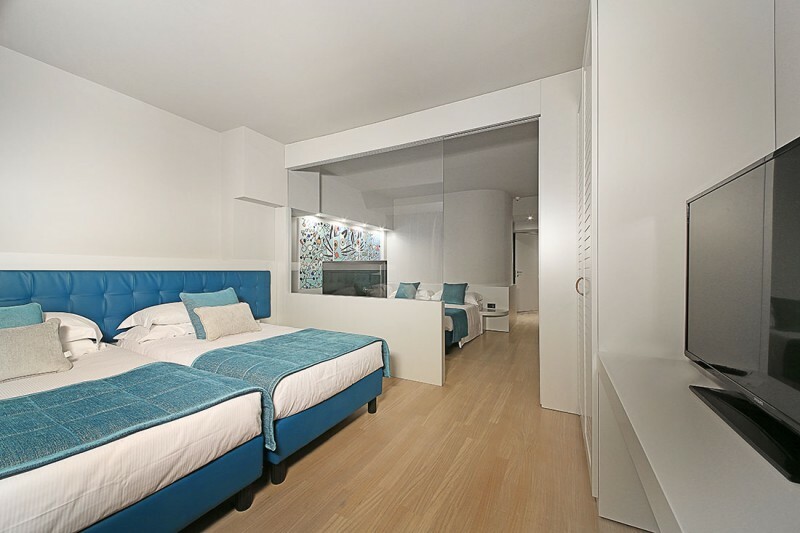 The night room is very large, with a spacious walk-in closet and a bathroom with tub and shower. 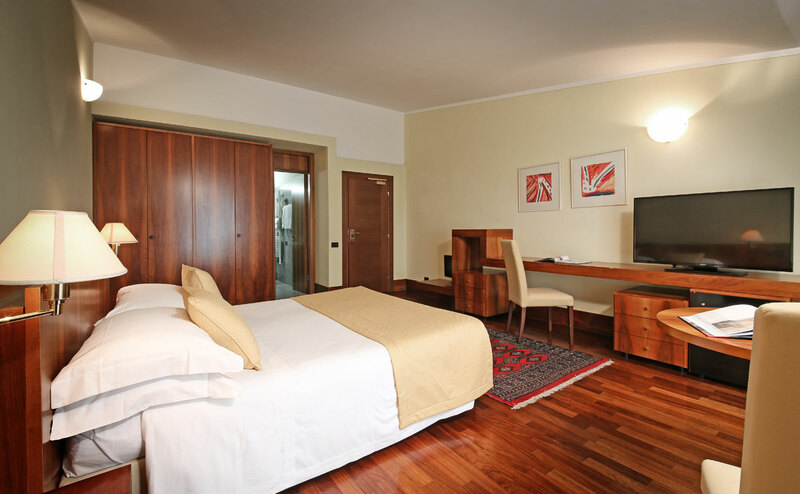 The suite is equipped with 2 flat screen televisions. It is designed for two people, but it can accommodate a third person at an additional cost.